Kajabi itself doesn’t offer the option to calculate taxes on offers. This is where Quaderno comes in. You can use our Checkout form on your own website or within Kajabi itself to seamlessly calculate sales tax, VAT, GST or any other applicable tax for your offers. Quaderno Checkout works within your site, allowing customers to pay in-place without being redirected away anywhere else. It looks pretty great, to boot! Add taxes on top of you prices depending on your customer's location. Charge your customers via Stripe, PayPal or Braintree. Automate your accounting by exporting all your reports to CSV files or Xero, or sharing them with your accountant. 1. Create your custom Checkout form. 2. Copy the HTML code that's generated. 3. 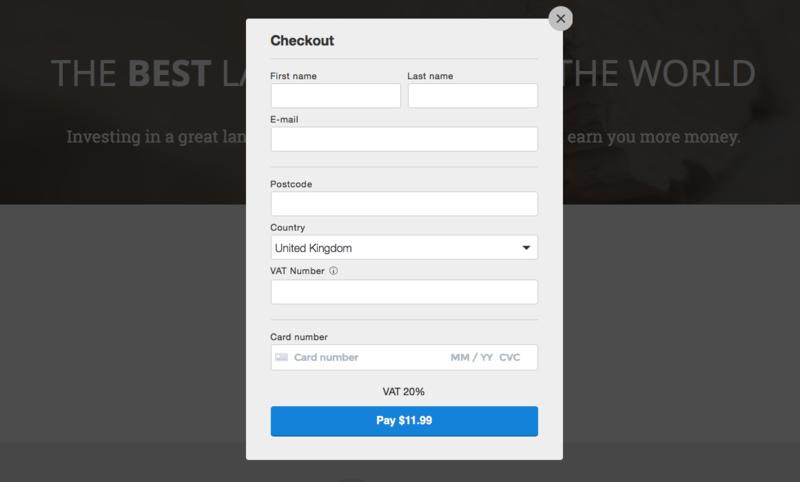 Paste the HTML code on the web page where you want to embed the Checkout form. You can do it in anywhere, but if you want to do it on a Kajabi page, just open its HTML editor, paste the embed code and click Ok (like this!). 5. Grant access to your Kajabi offer via Zapier. That's all! Quaderno Checkout will now calculate taxes for your sales, and your customers will have access to your offers.